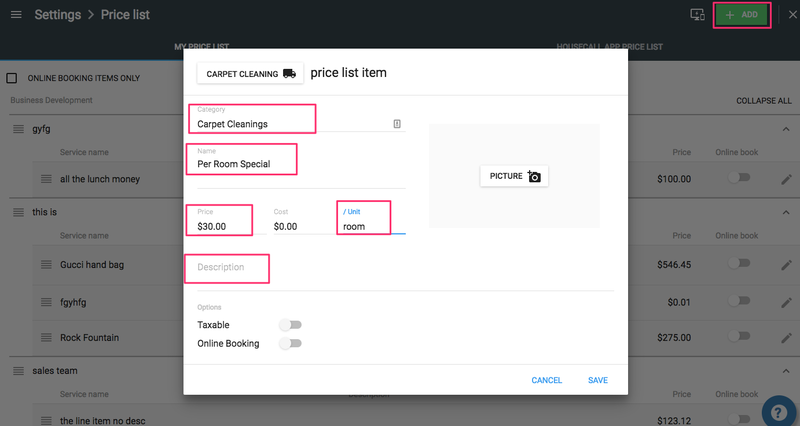 Add and save your custom and pre-set services so you can easily create or edit invoices and estimates from the office or when you're on the go. 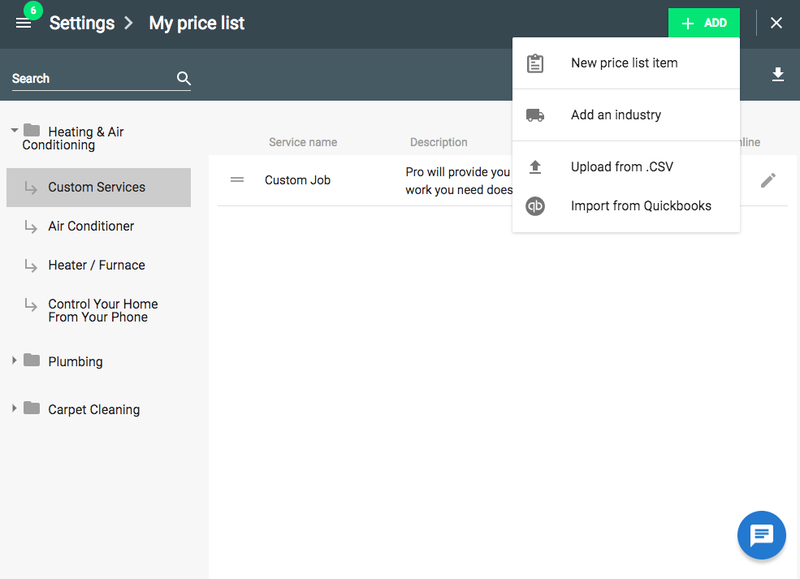 Once you click 'ADD PRICE LIST' in the 'Getting Started' sidebar, you'll see a pop up of industries to choose from. Select the industries that most align with the work that you offer. Hit 'SAVE,' and you'll see we've dropped some items to help get you started. Category - You'll want to categorize your services to group together services that are in the same industry. Give a detailed description of what is included in each service. You'll also want to select whether or not the item is taxable or if you want the service bookable online. Click 'Save' and you're all set! 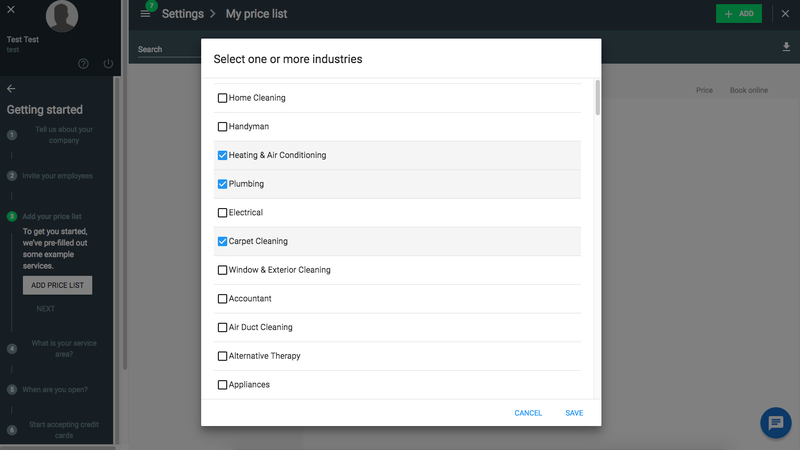 You can add or remove an industry from your service list by checking/unchecking the boxes. Keep in mind that if you uncheck an industry, all items under that industry will also be removed. If you have your price list in an Excel or .CSV file, upload it yourself or email the file to datahelp@housecallpro.com. There is typically a 2-business day turn around when you send it to us to format and upload. If you're currently using Quickbooks Online, watch this tutorial to learn how the connection works and get your services imported. Use the pencil in the far right to edit or delete your items. These items are saved to your account for you to easily use on invoices and estimates, so personalize it to make your items your own! Now that you know how to add and edit your services, let's move on. Step 4: What is your service area?